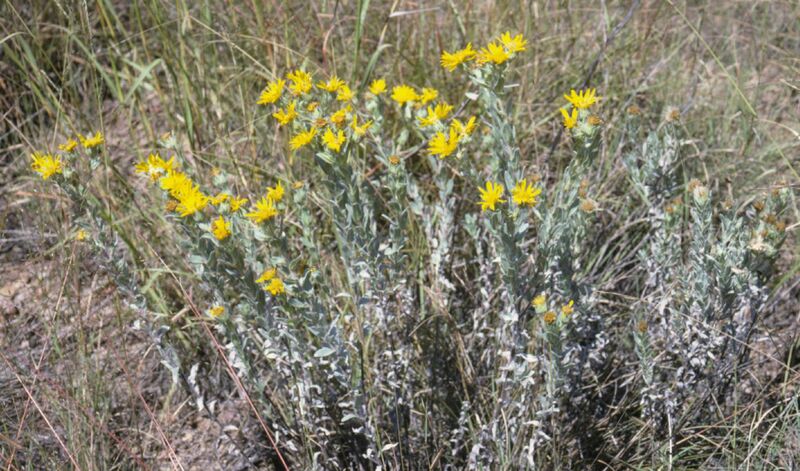 Heterotheca rutteri (Rothr. in Wheeler) Shinners is a very rare species native to a small area in southern Arizona. It has silvery white leaves due to the high density of long strigose hairs. The heads are large and showy.